The decision by the US Department of Defense to boost spending on confronting Russia in Europe and fighting the Islamic State elsewhere will provide no military benefit whatsoever, former US Chief of Naval Operations science and policy advisor Theodore Postol told Sputnik. WASHINGTON (Sputnik) — The proposed boost in NATO-related spending is "a provocation that builds on the ‘original sin’ of NATO expansion, which led to the predictable breakdown of relations between Russia and the West," Postol stated on Wednesday. On Tuesday, Defense Secretary Ashton Carter announced the Defense Department will spend 50 percent more in fiscal year 2017 on its fight against the Islamic State and will request $3.4 billion in its fiscal year 2017 budget to support NATO allies in Europe. "The deployment has absolutely no military benefit in terms of NATO’s ability to defend allies in eastern and central Europe," Postol, who is also Massachusetts Institute of Technology Professor Emeritus of Science, Technology and National Security Policy, added. He noted the increased US military commitment in Europe was built upon "a remarkable dissembling" of a 1997 agreement between Russia and the West that heavy weapons and troops would not be sent to locations near Russia’s borders. "In all, these actions will do nothing more than cause quite reasonable Russians to conclude that the United States and NATO will say anything, and seek to justify anything they want to do, regardless of its merits or its negative consequences for Europe’s collective security," Postol warned. The new US policy, Postol argued, would backfire and increase the dangers of war in Europe rather than deter it. "From my point of view, these actions simply demonstrate that NATO is a larger danger to itself and Western Europe than it is to Russia." The US government currently maintains that the 1997 agreement with Russia has not been violated because Washington is "rotating" troops through its forces in European countries rather than keeping them on station permanently, but this was a specious argument, Postol said. 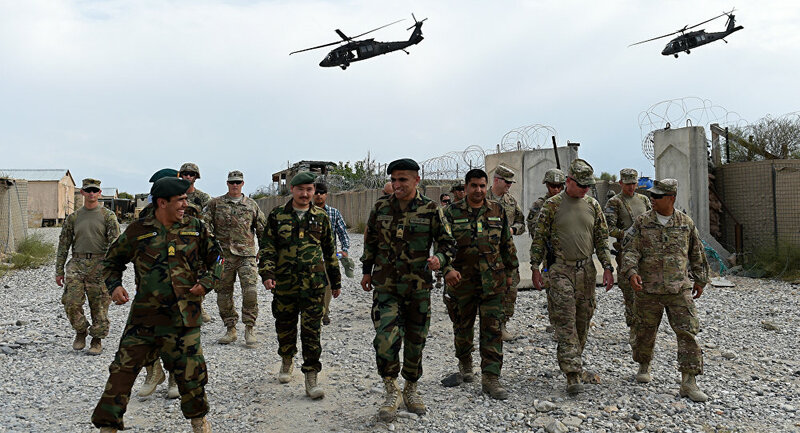 "By this definition, the United States has no presence in Iraq or Afghanistan, or for that matter anywhere else in the world where we have substantial deployments of American forces." Far from increasing trust and confidence in the United States around the world, such justifications destroyed US credibility, Postol maintained. "This remarkably dishonest interpretation of an existing agreement should indicate to every country that deals with the United States that our government cannot be trusted at its word." Postol concluded that regrettably, the planned US build-up would further polarize the two main thermonuclear powers.